* These bags are the same thickness as the Woolworths Resealable Sandwich bags. * They would be suitable for use as an example "Sandwich bags"
* Not be suitable for heavy items or anything that applies constant pressure to the walls of the bag. * 50um is 20% thicker and is slight stronger than light duty 40um bags. * They would be suitable where you wish to have a tighter fit. * The smaller sizes would probably be able to tolerate some constant pressure to the walls of the bag. * 75um is nearly double the thickness of the light duty 40um bags. * The larger bags will be more suited where you wish to have a tighter fit and heavier weight. * 100um is double the thickness of the medium duty 50um bags. * These bags are going to be substantially stronger and better suited to heavier items. 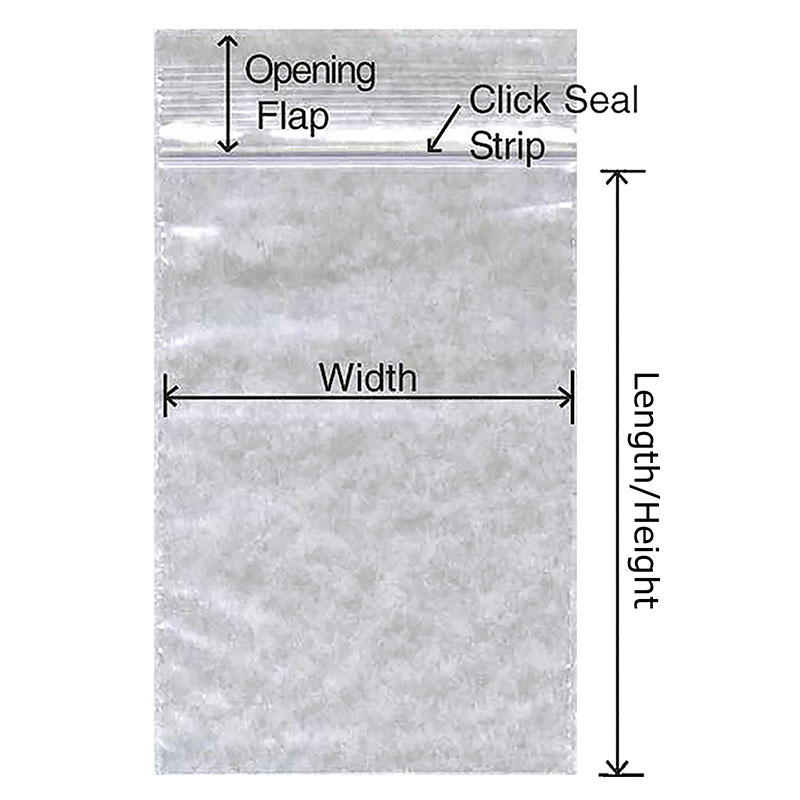 * Also more suitable for applications where there is constant pressure to the walls of the bag. however, we have seen small variations in actual sizes from lot to lot. I therefore recommend that you allow a few millimetres either way to be sure.